Why Hire A High Torque Multiplier? There are so many specialised tools on the market today it is virtually impossible to own each and every one of them. You may not afford all the tools on the market or you may not have room to store them all, but you can still utilise their value by Hire. A business will own the basic tools to do a job, but if a difficult or larger job is offered, the Hire option rather than Buy option makes good business sense. The beauty of Hire is that you get the exact Multiplier tool required for the Job. A good example are the Hydraulic Torque Multipliers known as Hydraulic Ring Spanners: the low Profile Hex Cassette range. These are the only Multiplier tool capable of applying high torque in difficult to access areas. But having the right size tool for a specific job is the catch! Unlike the Hydraulic Torque Wrench, you cannot just change the Impact Socket to fit the Bolt. The Low Profile Tools by their very design have a limited set of sizes for each tool. Thus you need to buy a vast set of Low Profile Hex Cassette Links and Reducers to ensure you have the correct size. Admittedly each "Power Head" of the Hydraulic Ring Spanner allows for a range of Hex "Links" to fit it, so extra costs per Bolt size is kept in check by not having to replace the Power Head for each Link size. But it still means paying for the right size Hex Link, rather than just buying another Impact Socket. By hiring the right Multiplier tool, you also get expert advice about the tool being right for your specific application. Plus receiving tips and advice on how to use the tool, and informed OH&S issues are minimised. 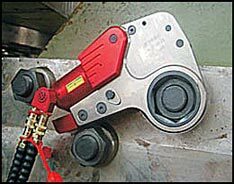 Hiring the Right Hydraulic Torque Wrench or Air Nut Runner, getting the right advice on how to use it, saves time and money. Example: Sometimes you need a more powerful Hydraulic Torque Multiplier than the one you own. You may have the Hydraulic Pump + Hose and only need the wrench. Hire allows you to save purchase costs by hiring just the Wrench or Multiplier, not the whole kit. Get it when & where its needed. Hiring the tool will allow you to have and use the tool the day you need it. HTTP use TNT Couriers to deliver the Multiplier where ever you are. Also you're not charged Hire days while its on the Courier. You return it via Courier: this sets the Off-Hire date as the Courier system states when the tool was picked-up. Thus we both have a verifiable date for Off-Hire to remove any doubt about hire charge days. There is a great cost of owning larg expensive equipment tools, like Hydraulic torque Multipliers, that are designed to do just one type of job. Cost of Ownership includes storing the equipment, which uses space in your workshop. Also Owning increases the potenial of having the Tools stolen. Plus Tool maintenance and recalibration every 12 months if they are a Torque wrench like a Hydraulic Multiplier or Pneumatic Nut runner. A Hire Multiplier torque tool will be generally be the latest technology. This allows you to try the Latest Product model, perhaps to test it before you buy. 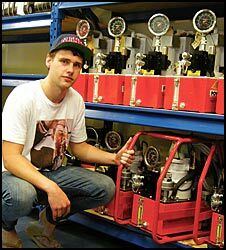 The Tools will be in perfect condition, up to date calibration, and delivered to your door ready to work. No warranty issues. Hire Tools are guarenteed to be working 100% or no charge. You want the latest torque multiplier technology with state-of-the-art power on every job site you are working at: then Hire! The latest Multiplier model you are buying today will be replaced with a newer, better model in six months, so each Hire is getting you the best. 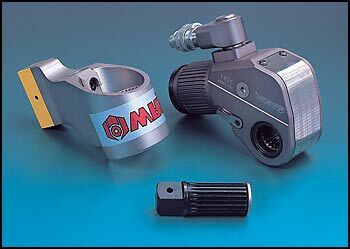 This is probably the most obvious of all the reasons when it comes to hiring a Multiplier or Low Profile hydraulic tool. Some jobs require specialty tools that are very expensive or may be used for an extremely short amount of time. In these situations, hiring is almost always the best option out there. This may not make sense at first, but if you really think about it you will be able to get the job done a lot faster if you have the right Multiplier you need at the exact moment you need them. Hiring can add a bit of creative pressure on a work Team: they need to finish the job in two days, to return the hired Multiplier equipment or be charged an extra day - more likely to finish the job that day instead of putting it off until the next day. Theoretically this could mean you get the job done faster! Hydraulic Torque Wrenches & Air Nutrunners delivered across the country!